Groups Trimeriad Cosplay with Niho as Albedo Piazzolla and Tomoyo as Gaignun; Light of Hope Cosplay as M.O.M.O. Patterns Personal sloper and extensive editing in a muslin version. 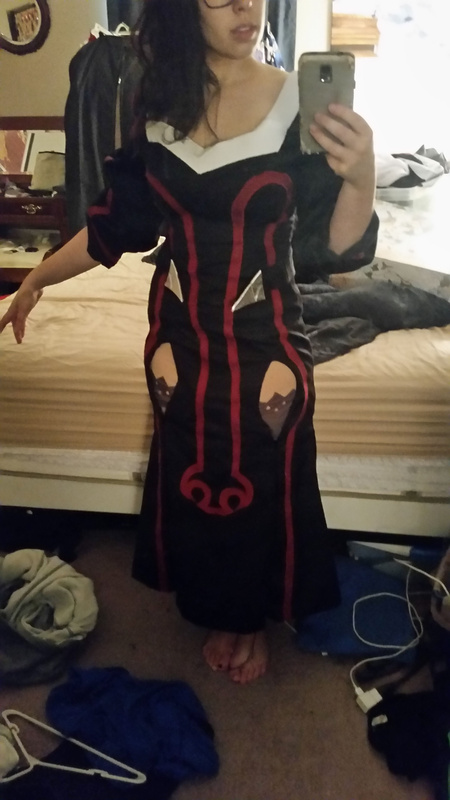 The red lines on the front of the dress didn't line up the way I wanted. And let me say, doing them via satin stitching rather than iron-on vinyl or even painting was both tedious and fallible. 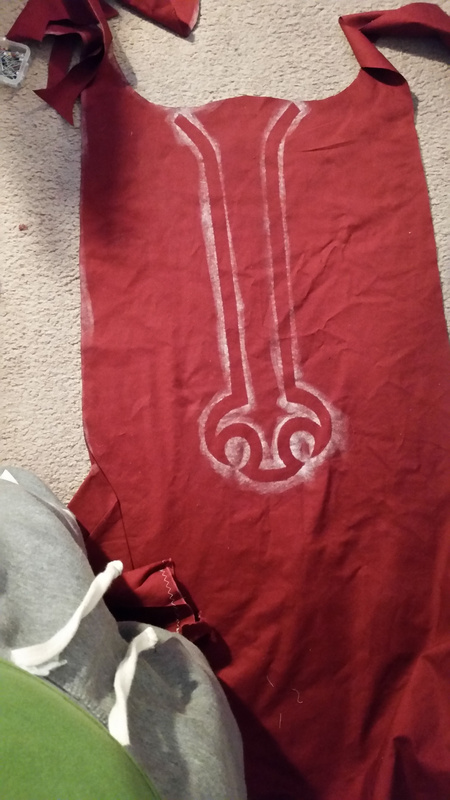 It was SO difficult to cut out and iron on. The foam collar was also something that slowed me down majorly. 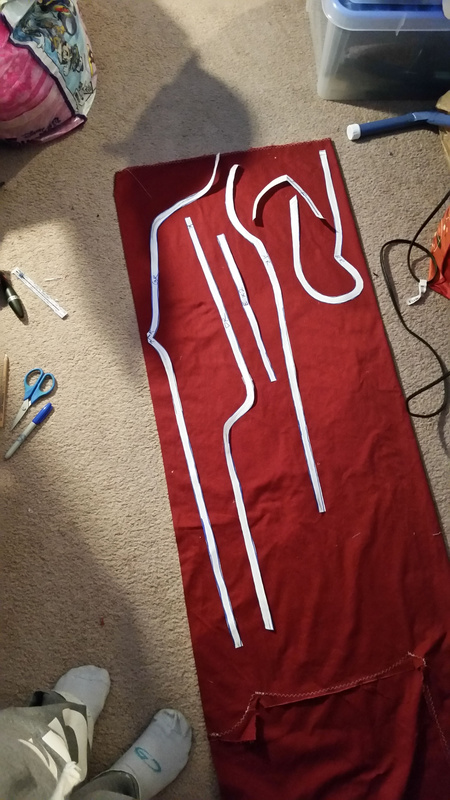 My fingers were pretty raw from hand-sewing through vinyl and foam. I wish I'd had a better solution at the time. The zippers. Oh man, I'm really proud that that concept turned out to be okay. 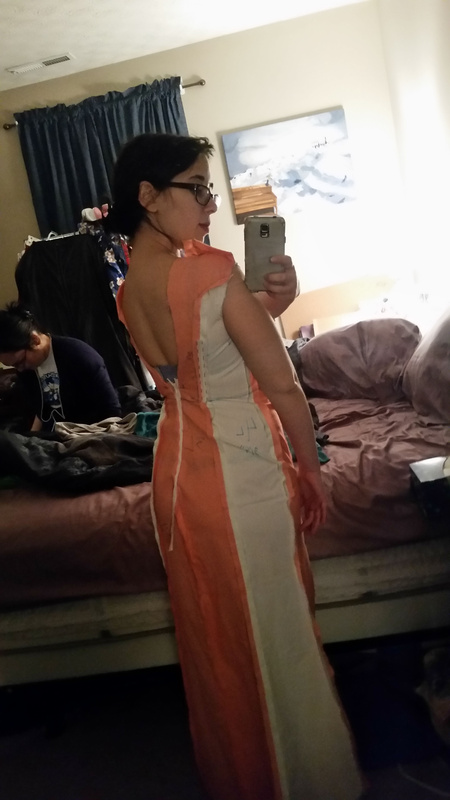 Upon realizing Pellegri's dress would be difficult to walk in let alone dance in, I decided to make the bottom flare out with separating zippers at the thigh design. With some small covering for the holes, this costume is hypothetically acceptable to wear at formals. Also, all the work we put into the shape of the dress really shows! It's flattering in a way I didn't think could be possible. That's in part thanks to the boning as well as a bra that I built in. Absolutely would change the red line designs. I'd much sooner do one continuous painting than several pieced-together satin stitched fabric lines. 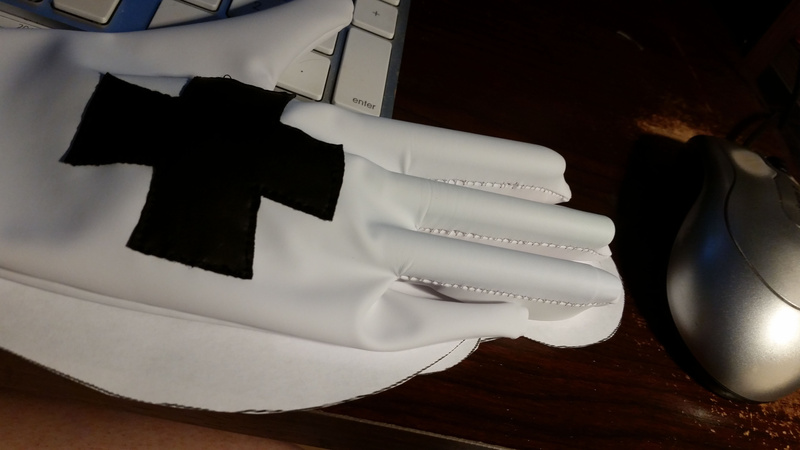 I also wish I could remake the gloves to be a bit more comfortable. As it stands, they're also stretch vinyl, and thus hot and uncomfortable. Absolutely! I barely wore her. I'd love to have a slightly fuller group if only so our characters made a little more sense together! Pellegri is the kind of strong female antagonist who fits my archetype—but mostly, this was because Anne loves Xenosaga so much and I want to help her fulfill her dream groups! I got extensive help on the satin stitching from Niho. 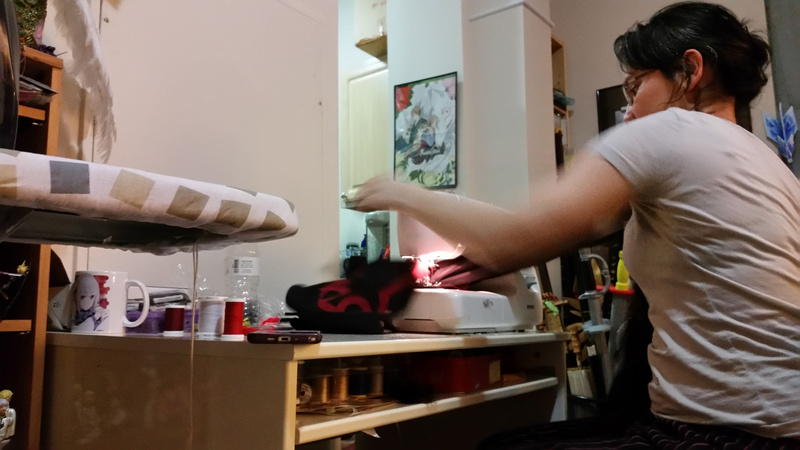 Fun fact, my old machine doesn't have a thin stitch for satin stitching, so when I wasn't asking for her direct help to finish on time, I was borrowing her machine to try and do it myself. THANK U NIHO! !